It is natural that projects attract a lot of stress, as you have a fixed set of deliverables to produce in a fixed timeframe and with fixed resources – and all with your project sponsor breathing down your neck. Positive stress can be generated in an environment which boosts productivity and focuses your team on the end goal. But negative stress can demoralize staff, reduce efficiency and de-focus your team. In this type of environment, you need to turn negative stress into positive stress. Positive stress can be generated when people within teams have positive relationships. These positive relationships can be facilitated by the project manager through team building techniques. This can include lunches, morning donut meetings, positive and fun status meetings, and doing things to help each other. There are many opportunities for team-building during the work day and even after work. The next step is now to rally your team around a cause – your project. Make sure everyone understands the objectives and outcomes of the project and reiterate them often. Make sure the team sees how their contribution is helping to achieve business value. You usually don’t have the ability to give financial awards, but recognition and attention goes a long way to keeping people boosted. Often stressed teams have an “instigator”. This is a person (or people) who generate a lot of negativity and who influence the performance of others around them. Make sure the negativity of an instigator is identified and work with them to be a positive influence if possible. As the project manager, you need to be in the right “frame-of-mind” yourself. If you are negatively stressed, then those around you are likely to be also. So to “practice what you preach” you need to feel up-beat and positive about the team. You need to feel fit and healthy, focused, yet inspirational. If you can achieve this frame of mind, then you can turn negative stress into positive stress and give your team a real chance at succeeding. It seems everyone dislikes meeting – except when it is your turn to call one. Your job is to keep the meeting focused and make it as valuable as possible to the attendees. Here are the six tips to help you. To make sure you get the most out of your meetings, you need to plan them wisely. First understand the purpose of the meeting. Is it for status? Is it for a decision? Is it for brainstorming. make sure you and the attendees know the desired outcome of getting together. Your meeting should have an agenda that shows the flow of the meeting, the timing and how you are going to the desired outcome. This should be shared in advance with the attendees. Regularly scheduled meeting do not need a customized agenda. They use a “standing” agenda that stays pretty much the dame from week to week. Open and close your meetings carefully. When you open the meeting, state the purpose of the meeting, what you want to get out of it and why it’s important. This gets their attention and sets the scene. When you close the meeting, tell them what has been agreed / achieved in the meeting and the next steps going forward. Raise your voice a little to add presence. Jump in frequently when people talk too long. Be polite but strong. If possible, ask someone else to record the minutes to give you time to facilitate the meeting. Often in meetings, a single issue can consume the majority of the meeting time. If the issue is not related to your specific meeting goals, tell the team to park it and move on. Record the issue on a whiteboard or paper and address it with the relevant team members separately after the meeting. This keeps your meetings short and focused. Keep your meetings short so that they stay focused. You will often find that a 60 minute meeting can be easily compressed to 30 minutes. Thirty minutes keeps everyone focused. Try it. For the next 30 days do not schedule any meetings longer the 30 minutes. You might be surprised that you can still accomplish your meeting purpose. One problem that many project managers never get comfortable with is dealing with poor performers. Some people are such poor performers that they ultimately fire themselves. Maybe the bigger challenge is trying to improve marginal performers. These are people that constantly disappoint. They miss a high performance bar, but when you lower the bar they miss that as well. In spite of these marginal performers, you still have to complete your project successfully. You should look at a number of possible causes for marginal performance. Does the person have the right skills and experience? Sometimes people do not deliver up to expectations because they do not have the right skills to do the job. For instance, you assign a person to complete the analysis for a new set of reports, but he is not sure how to ask the right questions or frame a discussion with the clients. If anyone falls into this category, you need to decide whether he could do the work with the right training or coaching or whether he should be replaced. Do they understand your expectations? If people have the right skills, ask whether they really understand what the expectations are. For instance, sometimes when a team member misses a deadline, he might come back and say that he did not think the work was due at that time. If there is some confusion on the expectations, you can have the person confirm back to you in writing his understanding of the expectations for deliverables and dates. Some people are not motivated to do a good job regardless of the assignments and skills needed. You can take one shot at trying to motivate the person. but after that you would need to being this to the attention of the person’s functional manager. Can you assign them other work? Perhaps the person could do better – perhaps excellent – if they were assigned different type of work. Look through your schedule to see if you have flexibility to assign work that is valuable to you and that they can do well. Another area to consider is whether there are any business or personal factors that could explain a person’s performance. For instance, a member of your team may not be very motivated to work if his spouse is very ill. If you can find a cause, it will give you some ability to respond or at least acknowledge the cause. 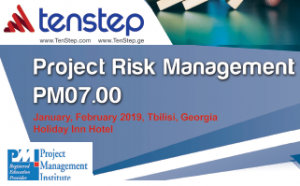 If people have the right skills and the right expectations, then the project manager’s options become more limited, and you start to enter the realm of the performance management. It is possible that some team members are not going to do be able to perform up to expectations. They may not be willing to do the job, or they may not be able to do the work regardless of the training and support you provide. If you feel you are at this point, you need to get the appropriate functional manager involved. It is difficult and frustrating to work with and rely upon people who do not come through. After you look at the problems and try to determine the cause, you may just decide if there are things that you can do as a project manager or if there is a performance problem that needs to be brought to the attention of the functional manager. Do you need help assessing your organization, deploying project management, coaching or other processes? Contact us today to discuss implementing solid project management practices in your organization.